The rationale for seeking open terms of both access and use is as follows. 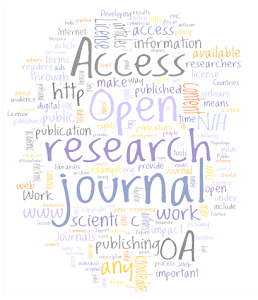 Free access provides the literature to at least five overlapping audiences: researchers who happen upon open-access research articles while browsing the Web rather than a password-protected database; researchers at institutions that cannot afford the subscription prices for the growing literature; researchers in disciplines other than that of a journal's intended audience, who would not otherwise subscribe; patients, their families, students, and other members of the public with an interest in the information but without the means to subscribe; and researchers' computers running text-mining software to analyze the literature. In addition, granting readers full reuse rights unleashes the full range of human creativity for translating, combining, analyzing, adapting, and preserving the scientific record, whereas traditional copyright arrangements in scientific publishing increasingly inhibit scholarly communication. Copyright law gives the copyright owner the exclusive rights to make and publicly distribute copies of the work, to publicly perform or display the work, and to prepare adaptations of it. Granted initially to the author or authors of a work, these rights can be assigned or exclusively licensed to a publisher or other content distributor if that is done in writing. After authors sign away these rights, they, too, must seek permission or a license from the publisher if they wish to make or distribute copies of their article, unless doing so would be considered fair use. Fair use permits certain uses that have positive social benefit, such as use in research or education, and that do not unduly interfere with the copyright owner's ability to receive economic benefits from publishing or licensing the work. Copyright's terms do not restrict all uses of an article. In addition to fair use, uses of facts such as scientific data are not covered by copyright except to the extent that an author has exercised minimal creativity in their selection or arrangement. This minimal-creativity standard might prevent republication of some tables or figures, but copyright doesn't restrict the reuse of the underlying data if they're arranged in a different format or a conceptually new figure. For a wide range of creators, educators, and researchers who care primarily about broad distribution of their work, copyright's standard terms are inappropriate because they prevent reuses that these authors wish not simply to permit but to encourage, such as translation into other languages. Creative Commons is an organization that has responded by producing a suite of six copyright licenses that offer standardized terms of sharing to permit a range of uses beyond fair use, subject to certain conditions.3 The four conditions are combined into six permutations reflecting the types of copyright restrictions that people who otherwise choose to share their works for free might like to retain (see tableTable 1 Creative Commons Licenses.). The licenses, designed to allow all uses except those prohibited by a specified condition, have been adopted by a variety of institutional and individual copyright owners. All Creative Commons licenses require that users who republish or reuse a work in a way that would otherwise infringe copyright give attribution as directed by the copyright owner. That's the only condition included in the Creative Commons Attribution license — the only Creative Commons license meeting the definition of “open access” endorsed by the Budapest, Bethesda, and Berlin declarations. 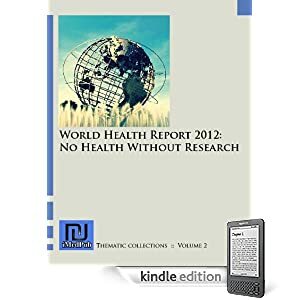 This license is used by leading open-access publishers such as PLOS and BioMed Central, recommended by the Open Access Scholarly Publishers Association, and adopted by the World Bank for its internally published research. Commercial science publishers that have launched publications funded by article-processing charges also use Creative Commons licenses, but they either use a more restrictive license or offer authors choices. The Nature Publishing Group's Scientific Reports, for example, allows authors to choose from three Creative Commons licenses, including the Attribution license.